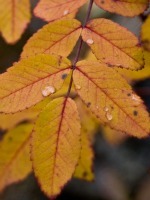 Passed away Wednesday, January 26, 2011 in Allegan. Mr. Decker was born July 25, 1924 in Watson Township to Roy and Ethel (McBride) Decker. He served his country in the U.S. Marine Corps during WWII in the Pacific and was a life member of the V.F.W. Post #3030. Wayne had farmed before going to work at the Plainwell Paper Co. where he was employed for over 35 years. In his leisure time he enjoyed hunting, fishing, camping, walks and working in child evangelism. Surviving are three grandsons, Eric (Dora) Decker of Delton, Jason (Kim) Decker of Allegan and Arthur Shattuck II of Coldwater; seven great-grandchildren; siblings, Dean, Paul, Lila and Alice; several nieces and nephews, including a special niece, Linda (Jeff) Smith of Allegan. He was preceded in death by a son, John; daughter, Barb; wives, Sue and Lurlene; a sister, Erma; and a granddaughter, Erica. Friends may meet with his family from 2 to 5 P.M. Sunday at the Winkel Funeral Home, Otsego, where funeral services will be held at 11:00 A.M. Monday, Pastor Alan Carson officiating. Burial will follow at Mountain Home Cemetery, Otsego, with Military Honors by V.F.W. Post #3030. Contributions in memory of Wayne may be made to Wings of Hope Hospice or the Allegan County Youth Home. 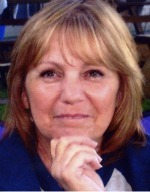 Went to be with our Heavenly Father on Saturday, January 22nd, 2011 with the love of her life by her side. Joan was born in Allegan, MI, on January 20th, 1934, a surprise addition to Clare and Mildred (Stewart) Stegeman, as they had a three year old daughter and were only expecting a son to be born, but were blessed with a surprise of a twin daughter as well. 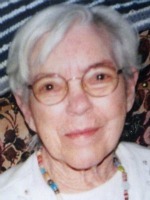 Joan was a graduate of Allegan High School, Class of 1952 after which she received her teaching degree at County Normal. She taught at a one room school house at the Wetmore School. Joan caught the eye of a girlfriend’s date and on June 10th, 1954 in Victoria, TX she married the love of her life of 56 years, Fred Volker, who survives. Joan was a lifelong member of the First Congregational Church of Otsego, where she gained the dear friendship of a special group of ladies known as The Golden Girls. She loved to sew and crochet/knit for her family. Crafts and ceramics were her passion as well. Home-made cinnamon rolls and donuts for Memorial Day on Farmer St. were her specialty. She was one very talented woman. Joan and Fred were loving foster parents to many newborn babies in the late 1960s and early 1970s. Joan was preceded in death by her parents, Clare and Mildred Stegeman and her beloved twin brother, John Stegeman. She is survived by her loving husband, Fred; son, Jeffery (Ingrid) Volker; daughters, Nancy Oberlin and Sarah (Tom) Clemens; grandchildren, Abby Volker, Ryan Oberlin, Lorie (Scott) Bruyere, Ross Volker, Meghan and Molly Clemens; great-grandchildren, Hunter and Delaney Boone, Braylen Bruyere and one on the way, Baby Oberlin; a sister, Sally (Ray) Titus of Waldwick, NJ; many nieces and nephews. Friends may meet with Joan’s family from 2 to 4 and 6 to 8 P.M. Tuesday at the Winkel Funeral Home, Otsego. Funeral Services will be held at 11:00 A.M. Wednesday at the First Congregational Church of Otsego, Pastor Don Ray officiating. Burial will follow at Mountain Home Cemetery, Otsego. 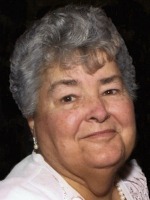 Contributions in memory of Joan may be made to the American Diabetes Association or the First Congregational Church of Otsego. Passed away Saturday, January 22, 2011 in Nashville. Lloyd was born November 20, 1960 in Midland to Raymond and Nancy (Burt) Wendt. For many years he was employed as a Journeyman Electrician and owned his own business in California before moving back to Michigan and working for IBEW Local #275. In his leisure time he enjoyed dirt bike riding, horses and fishing. On September 30, 2000 Lloyd married Patricia “Patty” Powers, who survives. Also surviving are his mom, Mary (Chick) Cizczion of Allegan; a sister, Barbara (Kevin) Love of Allegan; his mother-in-law, Jean Powers of East Jordan; sister-in-law, Sandy (Tom) VanStedun of Ellsworth; brother-in-law, Rusty (Brenda) Powers of Holland; his mother, Nancy (Paul) Andrick of Midland; three brothers, Earl (Kelly), John (Amy and Daniel (Patty); many aunts, uncles, cousins, nieces and nephews. He was preceded in death by his father and his grandparents. Friends may meet with Lloyd’s family from 2 to 4 and 6 to 8 P.M. Wednesday at the Winkel Funeral Home, Otsego, where Funeral Services will be held at 1:00 P.M. Thursday, Pastor Phil Courtright of the Thornapple Valley Church of Hastings officiating. Cremation will follow. In lieu of flowers, contributions in memory of Lloyd may be made to the American Heart Association, the Humane Society, the Mayo Clinic Cardiac Unit or to the family. 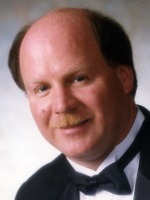 Passed away Sunday morning, January 23, 2011 in Plainwell. Ferris was born May 1, 1910 to Jason Arnet and Gertrude Louise (Laraway) Moored in Martin Township where he lived for his almost 101 years. In 1930 he graduated from Martin High School where he enjoyed playing football and baseball. He continued playing baseball on several different leagues and umpiring high school games and was an avid Detroit Tigers fan. Ferris loved all sports but especially enjoyed bowling, and his passion was playing horseshoes. In his prime, he could throw 49 out of 50 ringers. Ferris married Beulah Pinch August 28, 1936. During their marriage they were blessed with their daughters, Muriel “Kathy” and Marie. On September 15, 1945, Ferris married Ila (Vote). They were blessed with Ferris “Sonny”, Marcia and Glenda. During their 65 years of marriage, they enjoyed camping, playing bingo and the Florida sunshine in the winter. Ferris was a farmer and salesman; he loved talking with everyone. He was a devoted husband, an amazing father and a proud grandpa. Ferris will be remembered for his friendly smile, his contagious laugh, the twinkle in his eye and the joke ready to be told. Surviving are his wife, Ila; children, Muriel “Kathy” (Albert) DeRuiter of Dorr, Marie (Terry) Huizing of Cincinnati, OH, Ferris “Sonny” (Char) Moored, Marcia (Terry) Sturgis and Glenda (Matt) Ash, all of Martin; 11 grandchildren, Andy (Lisa) Huizing, Ken (Lori) Huizing, Jenny (Neil) Riggs, Lisa (Tod) Shook, Jason (Tracie) Moored, Kristy (Luke) Keyzer, Jarrod Sturgis, Jill (James) Harris, Joe (Jessie) Sturgis, Sheila (Rob) Sarro and Tracey (Jeff) Bryant; 28 great-grandchildren; 5 great-great-grandchildren; several nieces and nephews. He was preceded in death by a sister, Helen Scarborough and a great-granddaughter, Ilah Sturgis. Burial was at South Martin Cemetery. A Memorial Service will be held at 11:00 A.M. Wednesday at the Martin United Methodist Church, Pastor Dave A. Selleck officiating. Contributions in memory of Ferris may be made to the Martin United Methodist Church. The family is being served by the Winkel Funeral Home, Otsego. 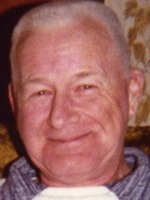 Passed away Thursday, January 20, 2011, in Grand Rapids. Mrs. Waber was born August 1, 1926, in Otsego to Fred and Alice (Root) Wood and was a lifelong resident of the area. She was raised on a farm where she learned to garden, cook, sew and work hard and enjoyed these activities all of her life. For many years she had been employed at Shakespeare Industries and Kal-Equip Industries. In the 1960s Peg and Fred began rock collecting. She was an avid reader and enjoyed playing cards and bingo. She served as treasurer for the United Methodist Church of Otsego and also the Kalamazoo Gem and Mineral Society, where she was very active in volunteering. She was a birdwatcher and was part of the Audubon Society. Peg especially enjoyed her grandchildren. On October 27, 1944, in Otsego, she married Fred “Ted” Waber, who died in 1987. Also preceding her in death were her parents; a brother and a sister, William Wood and Gertrude Garrison; and two sisters-in-law, Ellen Wood and Eleanor Wood. Surviving are four children, Charles (Helen) Waber of Lowell, Ellen Radke of Plainwell, Donna (Glenn) Beaman of Otsego and Anna (Chris) Wickey of Covert; ten grandchildren; 17 great-grandchildren; a first great-great-grandchild to be born soon; two brothers, Robert (Mary Ann) Wood of Otsego and Richard (Donna) Wood of Cooper; a son-in-law, Mark Radke of Otsego; several nieces and nephews. Peg’s family will receive friends from 5 to 7 P.M. Sunday and 10 to 11 AM Monday at the Winkel Funeral Home, Otsego, where funeral services will be held at 11:00 A.M. Monday, Pastor Joe Shaler and Pastor Jim Grant officiating. Burial will follow at Earl Cemetery. Contributions in memory of Peg may be made to the Otsego United Methodist Women or the Kalamazoo Gem and Mineral Society. 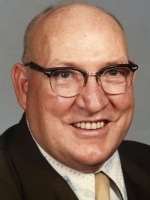 Frederick R. “Fred” Kelsey of Otsego, Michigan, passed away Monday, January 17, 2011, in Plainwell. 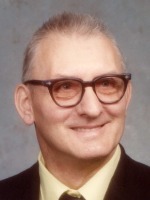 Mr. Kelsey was born March 14, 1922 in Trowbridge Township to Leon and Grace Kelsey and was a lifelong resident of the area and a graduate of Otsego High School. During WWII Fred served his country in the Army Air Corps as a tail gunner flying missions out of England. For many years he was employed in lumber sales and delivery with lumber yards in Otsego, Plainwell and Allegan. He was also employed with the Plainwell City Police Department and retired from Curtis Trailer Sales in 1987. Fred was a member of the United Methodist Church of Otsego and the American Legion Post #84. On November 6, 1943 in Allegan he married the former Maxine Martin, who survives. Also surviving are two daughters, Sandy (Dave) Holland of Kalamazoo and Sue (Merl) Lindsey of Otsego; three grandsons, Eric (Brenda) Lindsey, Kyle (Stacey) Lindsey and Cory (Ashley) Lindsey; two granddaughters, Robin (Jeff) Ritz and Shelley (Chris) Turley; nine great-grandchildren, Zoey, Madison, Emma, Nolan, Alyssa, Owen, Steven, Kendra and Ryan; a sister, Ruth Frampton of Plainwell; many nieces and nephews. He was preceded in death by his parents; two brothers Francis Kelsey and Bill Kelsey; and a sister, Grace Gruber. Friends may meet with his family from 2 to 4 and 6 to 8 P.M. Wednesday at the Winkel Funeral Home, Otsego. Funeral Services will be held at 11:00 A.M. Thursday at the United Methodist Church of Otsego, Pastor Joe Shaler officiating and Military Honors by the American Legion Post #84. Burial will follow at Hillside Cemetery, Plainwell. Contributions in memory of Fred may be made to the Otsego Area Veterans Memorial or the United Methodist Church of Otsego. 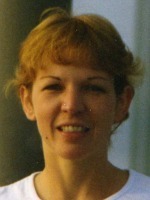 Lisa L. Christman of Otsego, Michigan, passed away Sunday, January 16, 2011 at her home. Lisa was born November 20, 1961 in Kalamazoo to Warren and Dorothy (Reeves) Timmerman. For over 20 years she had been employed with MPS of Allegan and had also worked for Van Melle’s and Fricano’s. She was very involved with the Allegan Ministerial Central Food Pantry, volunteered for Lakeshore Pregnancy Center, and had attended the Trowbridge United Methodist Church and other area churches. In her leisure time Lisa enjoyed Jazzersize, golfing, gardening, reading, traveling, her pets, belly dancing, welding, stained glass, bike riding, the Mackinac Bridge Walk every year and especially spending time with family. On April 19, 1997, at the Otsego First Congregational Church she married Wilfred “Will” Christman, who survives. Also surviving are her son, Ben Baker, who is stationed at Jacksonville, FL in the Navy; her mother, Dorothy J. Timmerman of Alamo; two brothers, Dave Timmerman of Otsego and Steve (Jane) Timmerman of Kendall; nieces and nephews, Halisha Medlin, Karri Russell, Samantha Christman, Chad Fisher, Brad Christman, Jr. and Travis Christman; her father-in-law and mother-in-law, Wilfred Sr. and Joyce Christman; brothers-in-law, Mark (Dovie) Christman, Brad (Paige) Christman; and a sister-in-law, Kathy Christman. She was preceded in death by her father. Cremation has taken place. Friends may meet with Lisa’s family from 2 to 4 and 6 to 8 P.M. Thursday at the Winkel Funeral Home, Otsego where Memorial Services will be held at 11:00 A.M. Friday, Pastor Gary S. Wales officiating. In lieu of flowers, contributions in memory of Lisa may be made to the U.S.O., the Allegan Ministerial Central Food Pantry, the Humane Society or Spectrum Health Hospice. 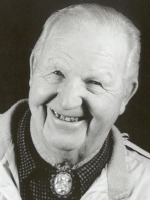 Monday, January 17, 2011 From 5-8 P.M.
Albert ‘Al’ Boylan passed away Friday, January 14, 2011. Mr. Boylan was born October 16, 1929 the son of James and Julia (Thorp) Boylan. Al worked as a welder for E & B Machine in Otsego where he retired as a supervisor. He was a jack of all trades working in the paper mill, as a welder for landscape forms, driving trucks, working for civil defense and the sheriff reserves. He loved working on cars and called himself a shade tree mechanic. Al enjoyed helping people, above all else Al’s family was very important to him. He was a member of the First Baptist Church of Allegan. On July 3, 1949 in Allegan he married Charlotte Watson, who survives. Also surviving are 2 sons and 4 daughters, Albert Jr. (Faith) Boylan of Grandville, John (Juanita) Boylan of Plainwell, Beth (Royal) Thayer of Otsego, Anne (Todd) Peck of Three Rivers, Susan (William) Miner of Otsego, Pauline (Phillip) Green of Otsego; 12 grandchildren and 15 great-grandchildren; 2 sisters, Irene Dendel and Eileen Davis. Al was preceded in death by a son, James; brothers, George, James, Irvin and Gerald and sisters Tressa Vote and Virginia Faucher. Friends may meet with Al’s family Monday from 5-8 P.M. at the Winkel Funeral Home, Otsego. Funeral services will be held Tuesday at 11 A.M. at the First Baptist Church of Allegan with Pastor Greg Carlson officiating. Private family burial will follow at a later time. Memorial donations may be made to First Baptist Church of Allegan or Kids Hope USA.